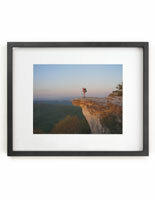 These Picture Frames are 16" x 20" Metal Poster Displays! 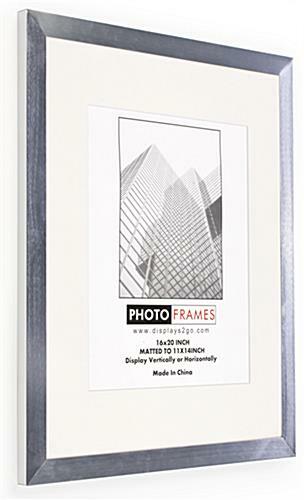 These Picture Frames can Mount on the Wall in Either Horizontal or Vertical Orientation! Buy the Best Wood, Metal and Digital Displays at Wholesale Costs Online! 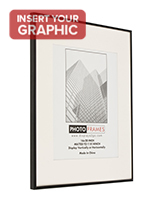 Silver picture frames hold 16-1/4" x 20-1/4" posters, providing a 16" x 20" viewable area without the matting. Removable accent mat supplies an 11" x 14" visible area for prints. 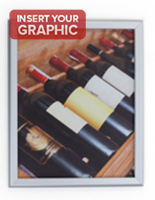 Brushed aluminum molding creates a stylish border around photos. A transparent, plastic lens comes with each display to protect graphics. These picture frames are cheap compared to many other metal photo holders, yet they maintain the same upscale style of more expensive pewter and sterling silver merchandise! Posters measuring 16-1/4" x 20-1/4" fit perfectly into this display. 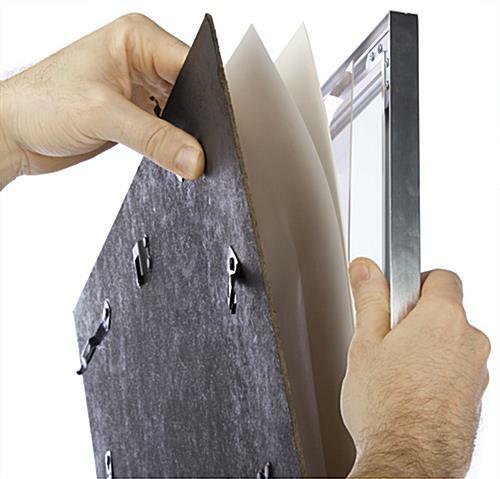 The picture frames come with removable accent matting that creates an 11" x 14" viewable area for photographs. The accent mat forms a white border on each side of a print to captivate viewers. 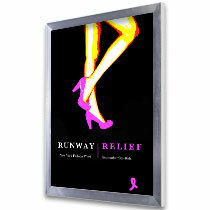 Posters will have a 16" x 20" visible area when the matting is not used. 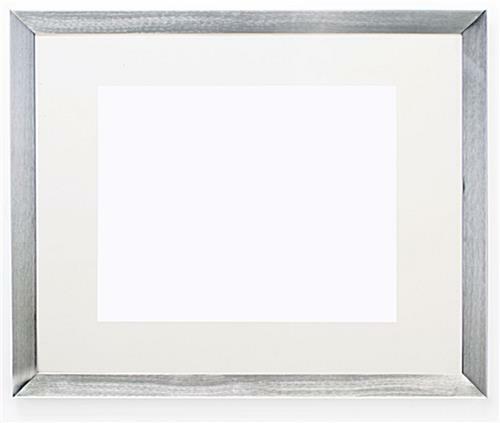 The silver picture frames, also called photo frames, have brushed silver aluminum molding. For a modern and versatile style, the profile of the corners are squared and measure 1-3/8" wide. 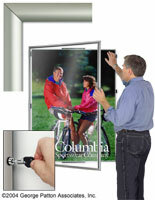 Durable backer boards are included with the picture frames to secure the lens, mat and your poster within each display. Different from many pewter or sterling silver picture frames, this unit will not tarnish or require upkeep. 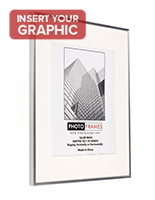 This aluminum photo holder supplies all the upscale style of more expensive metal frames, but does require all the polishing and maintenance. 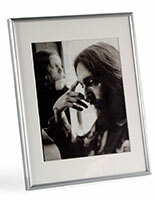 In additional, these picture frames are more durable than wood or metal units. Another advantage to buying a photo display crafted from aluminum is that it is lightweight, which makes it easy to mount on a wall. 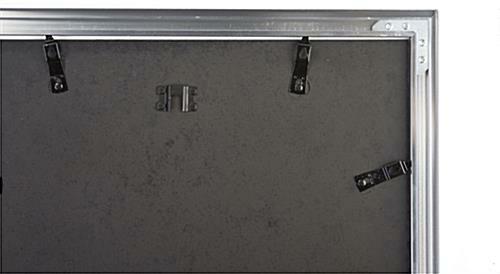 Each frame is equipped with hangers for mounting vertically or horizontally. This unit protrudes only 3/4" from the wall, as the molding has a sleek design. 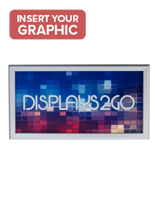 Order these picture frames to enhance the décor of a modern home or business while displaying graphics! 18.3" x 22.4" x 0.75"